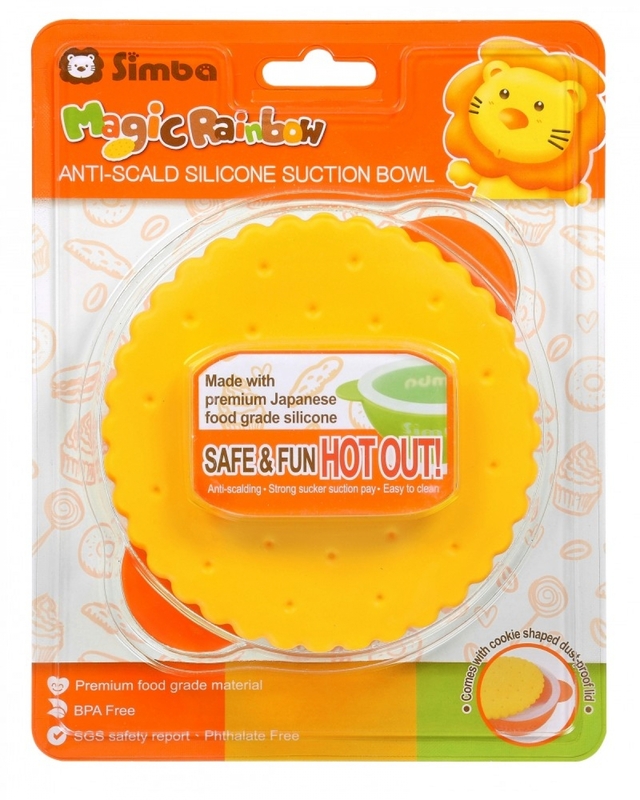 1.SGS safety certified product and uses only FDA approved food grade material. All parts are BPA free,Phthalate free, lead free, and cadmium free. 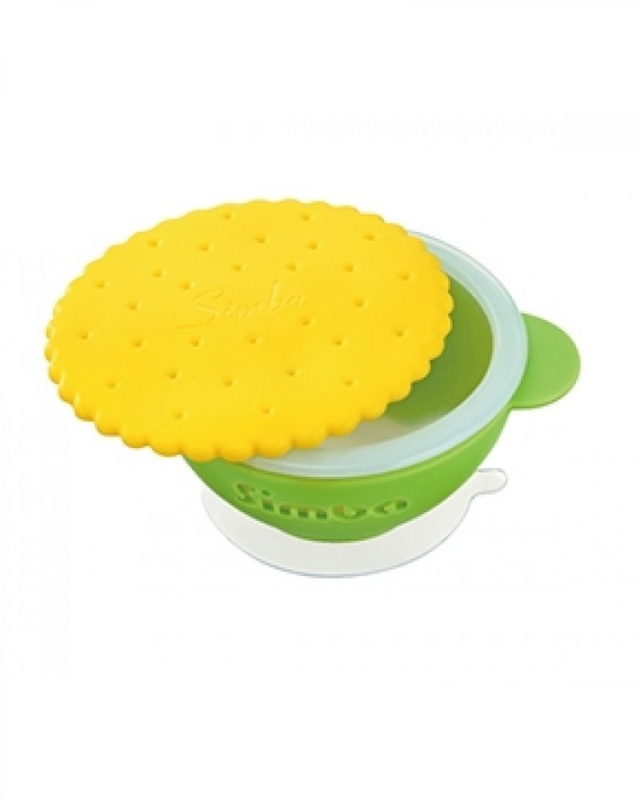 2.Funny cookie shaped lid─Making mealtime fun and special. 3.Curved rims─Helps contain food,no more over-the-edge spills from self-feeding. 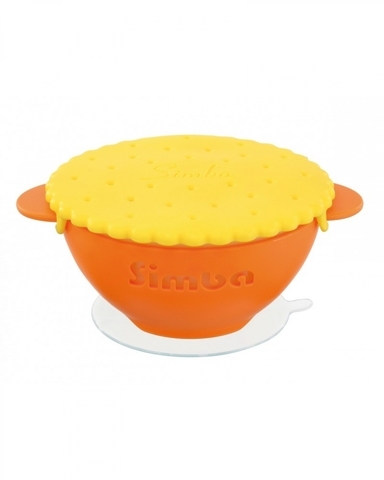 4.Handles─Designed to help moms hold on to the bowl while feeding babies. 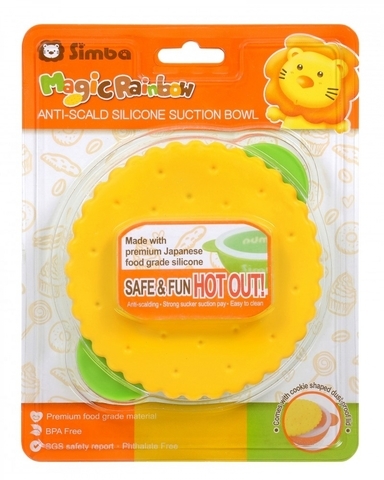 5.Removable silicone lining─Silicone lining can be easily removed for easy cleaning. 6.Quality food grade silicone from Japan─No articificial coloring added. Heat resistance up to 200℃ / 392℉, sturdy and easy to clean. 7.Non-stick surface─Make each scoop smooth and effortless. 8.Unique suction cup─Helps secure the bowl on any smooth surfaces to prevent spills from self-feeding or accident.